There can be few cities of comparative size to Canterbury that could welcome the Philarmonia Orchestra to play on one evening followed by its own city orchestra the next. 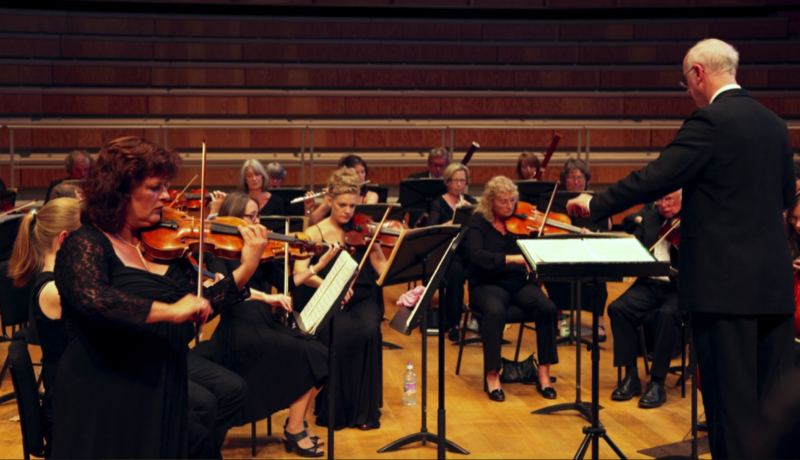 We are fortunate to be in such a position when last Saturday the Canterbury Orchestra presented a challenging programme by Tchaikovsky and Beethoven together with a world premiere of Gad's Hill by principal bassoon player John Perfect. This work, the result of an enterprising commission by the orchestra to celebrate the bicentenary of Dickens, is a programmatic account of the Victorian writers life and his work. It is carefully crafted exploring and exploiting the resources of the orchestra to the full. In two movements and placed in the programme as a concert overture it engaged players and audience alike, firmly tonal and bearing the stamp of a composer who understands the resources at his disposal and the possible listening preferences of his audience. Let us hope that this will be perhaps the first of a series by John Perfect for the orchestra. The challenges of Tchaikovsky's Mozartiana, an extensive rewriting by the composer of well known Mozart themes, were largely met, with one our two ensemble issues creeping in from time to time. The upper string sound was generally very pleasing, players seeming generally un phased by the rigours of Tchaikovsky's writing. Impressive playing from some orchestral members ensured the virtuosic side of this piece was well presented with Amanda Wyatt, the orchestras leader on sparkling form not only in her leading but also in the extensive cadenza of the fourth movement whilst Jo Townsend (clarinet) added further glitter to the same movement. The final and most extensive work to be performed was Beethoven's mighty Eroica symphony. This gargantuan piece was and remains revolutionary on so many counts.The most radical ideas of the composer were present from the start but however carefully one studies Beethoven's evolving style up to 1803, nothing prepares one for the scope, the bewildering originality and the technical certainty manifested in this symphony. The first movement is an expansion in symphonic dimensions, daring and unpredicted modulations, and intentional dissonances which are jarring and unnerving. The slow, long and and intense Marcia funebre of the second movement , the impish, wildness of the fast Scherzo movement, and the new the structure of the finale, full of powerful fugatos throughout— none of these were expected by Beethovens contemporaries or his audiences. Thus an extraordinary challenge for any orchestra to realise the new symphonic ideal that Beethoven had created which Canterbury Orchestra accepted under the deft and clear direction of conductor Andrew Lowen. The musical arguments were clearly enunciated, developed and reaffirmed the players completely engaged in the task in hand achieving a commendable reading of this major work. Whilst intonation began to suffer as the hall became increasingly warm there were some fine moments , notably in the unnerving horn calls and beautifully poised flute playing. The City of Canterbury should be proud to have the Canterbury Orchestra in its midst. A fine body of amateur musicians who profess their love for music and its performance through engagement in rehearsal and performance to share with the community at large. I look forward to future performances.